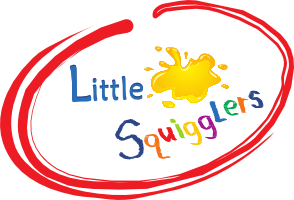 With so many options out there for entertaining young children, from swimming lessons to playing at the park, why choose Little Squigglers as part of your routine? There are lots of reasons why Little Squigglers messy fun is good and can really help children learn. Children get to grips with and make sense of the world around them by using all of their senses. Neuroscience tells us that through multi-sensory experiences a child will acquire knowledge of their world, make links with their experiences and develop a greater awareness of the world around them! 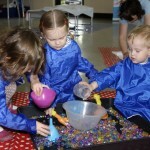 Our activities are carefully planned and designed to ensure that your little one has a range of experiences to support their development in many areas including: Fine Motor Skills, Creative and Sensory exploration through physical play and exploring a wide variety of textures, aromas and mark making media. Language and Communication skills are enhanced through linking activities with stories and rhymes and valuing the opportunity for uninterrupted time to share their thoughts, ideas and creations with their parent or carer. Scientific development is supported as children explore a wide range of materials, investigating properties of materials and discovering how changes can be made. 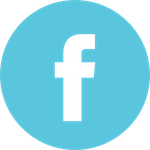 As children engage with their parents and other Little Squigglers they are busy developing their social and emotional skills and building their confidence with other adults and children. Children may learn to become more independent, deciding for themselves how they wish to use the materials provided. Our classes provide an opportunity for both you and your child to make and maintain new friendships. Throughout the class, interaction with others is actively encouraged, there are lots of opportunities for practising the important (and sometimes difficult!) skills of turn-taking and sharing. There is also time for the children and parents to sit and have a snack and story or song together. In our classes children are encouraged to engage in making a quality product to take home, this might be anything from a mask to a model elephant. However, we strongly believe that the fun and experience is in the process of making the product and not necessarily in the finished result! All our classes are built around a theme, and this includes the art work too. Children will have fun making lion masks or hand print zebras in a jungle themed week, or tissue paper rockets and cardboard tube aliens in a week focusing on Outer Space. From time to time we will make something extra special, for example gifts at Christmas or around Fathers / Mother’s day. And – after all that personal development, learning and laughter, and all the messy fun, splashing paint, handling goo and generally creating a fun mess, you get to go home and we get to clear it all up – another great reason for choosing Little Squigglers. Our founder, Amanda Wigzell, is a trained primary school teacher, specialising in art and design, with over 12 years’ experience. More importantly she is a mum to two small children too and is deeply interested in children’s development remaining a fun experience. Amanda planned and led Little Squigglers classes for 4 years and has been able to fine tune every element of our classes to offer the best possible format for the children and parents we work with. Amanda personally trains and mentors all our Little Squigglers Franchisees to ensure that there is consistency across our classes, where ever they may be. Amanda had also had the benefit of working with Amy Arnold. Amy, now a Head Teacher, and author of a number of published books including “Working with Parents”, “Stimulating Creativity & Enquiry”, and, amongst others, “The Little Book of Multi-sensory Stories” which brings to life popular stories through multi-sensory activities. Previously Amy lectured on Early Year Education at Cambridge University and has inspired many in her field.  Nominated for International “What’s On 4 Junior Awards” in 2015, 2014 and 2013, and “Netmums Winner” in 2012; Little Squigglers continues to grow in popularity because it remains fun for the children, whilst they continue to make sense of the world around them, and they continue to be entertained and engrossed whilst learning.